In the garden of Civilisation and Culture, religion is generally observed as a tascinating flower. Flower is viewed from its elegance and iragrance. Efflorescent in Eastern India, Sahaja-yana, from Seventh Century A.D. onwards exerted a splendid fascination over the minds of the people of India and even abroad by its lofy ideas ideal ideals. 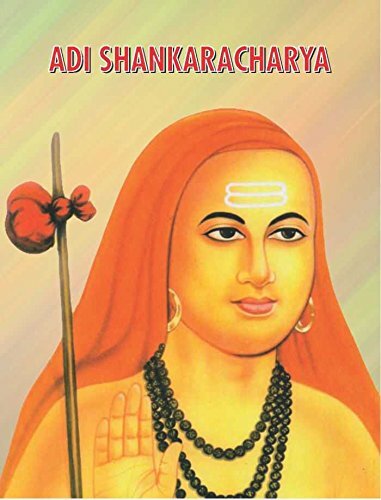 By its principles, philosophy and pragma.ism it advocated a system of Anuttara yoga, or transcendental meditation, discarded the age-old formalities of elaborate rite and rituals, rejected the imaginative caste- discrimination of Veda and ultimately established he identity of Samsara (the phenomenal world) with the highest truth to which it calls Sahaja. In 1907 Mm. H. P. Sastri brought to light the famous literary work “Bauddhagana O Doha” which contained an anthology of songs and dohas composed by the Siddhas of Sahajayana. This work has been studied by scholars from the linguistic, literary and philosophical standpoints in an uninterrupted continuity. The historical evolution of Sahajayana especially in Orissa, the Cradle land of this school has not been studied satisf’ac orilly so far; although fragmentary analyses of this nature are not absolutelv sparse in many texts. From the sandpoint of a systematic study of Sahajayana in Orissa, this work makes an humble attempt 0f bridging this cultural chasm and in this consideration may be claimed as the first of its kind. In the first chapter of this work, I have described the development of mystical beliefs and practices in early Indian culture, early Buddhism and Mahayana Buddhism. I have shown that these beliefs and practices lie at the root of Indian Tantric system like Vajrayana, Kalachakrayana and Sahajayana. In the next chapter, while tracing the ruse and growth of Sahajayana in Orissa, Ihave highlighted the elements and spirit of Indian Tantric Culture and have brought into light the promystic and proto- Tantnic elements in later Mahayana which subscribed to the afflorescence of Mantrayana. Mantrayana with its elements of Mantra, Mandala, Mudra and other proto- Tantric essence procreated a composite system of Tantra in Buddhism which assumed the nomenclature of Vajrayana. It is from this composite Tantric system of Buddhism that Kala chakrayana and Sahajayana attained their geneses of course not without the non-Buddhist influence of Indian denomination. Mahayana, Mantrayana, Vajrayana, Kalachakrayana, and Sahaja- yana, as I have discussed in the first two chapters of this work originated in Orissa, the ancient Oddiyana, I have analysed the different views advocated by eminent scholars in the identification of Oddiyana, Sambhala and Lamka and have accepted that Oddiyana was modern Orissa, Sambhala was Sambalpur and Larnka was Sonepur mostly with the confidence that the validity of an identification depends on its reasonability than the number of its protagonists. I have identified Zahor, Bhamgala and Vikrampur with the Bhagalpur and Banka regions of Bihar on the ground of semblent reasonability. In these identifications I have taken the help of Tibetan sources and have considered Zahor, a kingdom ‘Or Country than a particular locality ‘of city- like size and populations in consonance with the suggestion ‘Of Gos-Lo-tsa-ba. With reasonable scrutiny, I have identified Jatumati and Dhanakosa of the Tibetan sources with Jamra and Dhankauda regions of Sambalpur. All these compact identifications (from inland and exotic sources) and various factual informations (which as we believe are apt to withstand the test of reason) however impress us that Vajrayana, Sahajayana and Kalachakrayana originated in Orissa and it is from this land that they travelled to other parts of India and even abroad. In chapter three I have depicted the Chronology and Ideology of Sahaja Siddhas. I have described Sarah a as the founder-advocate of Sahajayana and prepared a chronology of the Siddhas after him with the available historical informations. I have deliberated the doctrinal aspects of Sahajayana with an analytical illustration of various original and secondary sources of Buddhist Tantric systems. In chapter four I have highlighted the social elements which are found an the songs of the Siddhas, As the Siddhas were men from the society and their cultures were the creation of men and for men in the society, I have made a comparative study of the social elements traceable from the literature of Sahaja Siddhas and those of the contemporary Orissa which are found in literary and epigraphic source. The purpose of such a study is to show that the Siddhas accepted the elements of their literature from the contemporary social complex of Orissa as also from those of neighbouring provinces. I have also discussed in this chapter the reasonable reactions of the Siddhas against the unreasonable aspects of the Caste discrimination of Brahmanism and with good reason I believe that the reactions of the Siddhas were not entirely fruitless. I believe that these reactions must have given spiritual solace to the downtrodden castes of Orissa and also contributed a factor in uplifting the cult of Jagannath from its Nan-Aryan Pristinity to a statal popularity of remarkable denomination. In chapter five 1 have claimed the inland origin of Indian Tantra. In this chapter I have discussed the influence of Upauisadic Monism, Saktaism. Saivism. 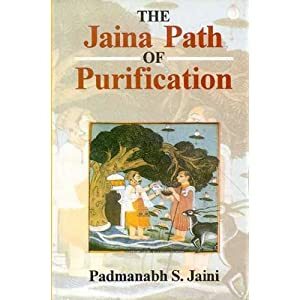 Vaishnavism and the Indian system of Yoga on Sahajayana, With reasonable scrutiny I also have traced out in this chapter the influence of Tantric Buddhism on the cult of Jagannath and on the cults of Nathas in Orissa. In adherence to logical analyses on the origin of the cult of Nathas I am of the opinion that this cult originated in the lap of Saivism in Orissa, I have identified Chandradvipa associated with the life of Matsyendranath w:ith Chandvali- Dhamra region of Orissa. I have also discussed the influence of Indian Buddhist Tantnioism in the origination of the Cults of Tara. Chhinnamasta, Lamkesvari and many other tribal and non-tribal deities. Influence of ‘Tantric Buddhism as I have discussed and shown continued to prevail in Mahimaism of Orissa. In chapter six I have considered the language of the songs and dohas of the Sahaja Siddhas, as a parental type of language. which contained the seeds of various Apabhrarnsas and popular vernaculars and disseminated them during the formation of different regional languages. to the linguistic cultures of different regions. I have refrained from making a comparative linguistic study in thus regard because it is beyond the scope of this work and it can be a separate linguistic thesis. I, however believe that my views are not historically untenable in congruence with the extensive analogies which become traceable between the languages of these Tantric Buddhist Songs and dohas and those of different provinces. I treat the monopolisation of the language of the Tantric Buddhist songs and dohas by any language-speaking people of India as mere misconception. In this chapter 1 have also illustrated the influence of the culture of Tantric Buddhism on Oriya literature. In the last chapter 1 have analysed on the sculptural antiquities of Tantric Buddhism in Orissa. I believe that in Western Orissa, Tantric Buddhism flourished in a Tribal surrounding and as such in this region the remains of Tantric Buddhism are to be traced in the midst of the crude antiquities of the tribal people. About three years back, I had started my work under the guidance of Dr. J. K. Sahu. The thesis would not have been completed without his meticulous supervision and able guidance. I express my gratitude to him for this. I am also very much grateful to late Dr. N. K. Sahu, M.A., Ph.D., D.Litt., Ex-Vice- Chancellor of Sambalpur University for his valuable suggestion and encouragement. In the primary stage of my work I had the friendly assistance of late Mr. P. Pradhan, Lecturer in History, Talcher College, Talcher in alphabetical arrangement of the sources which I had gone through. I am unfortunate that I have perpetually lost a friend of unfathomable simplicity and affection in his accidental demise. I record my deep sense of reverence to that departed soul. I remain grateful to’ Dr. U. N. Mohanty, Head of the Department Of Oriya, D.A.V. College, Titilagarh for his learned suggestion on the date of the Oniya Poet Chaitanya Das. Lastly, I am thankful to’ the librarians of Orissa State Museum Library, Bhubaneswar, Orissa State Archives, Bhubaneswar, Central Library, Baroda, National Library, Calcutta, and Asiatic Society of Bengal, Calcutta for their kind co-operations during my study in these libraries.